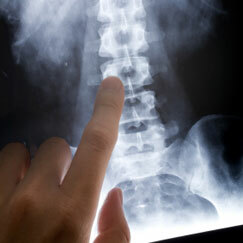 Orthopedic surgical products and procedures are changing rapidly. Cadence has been the orthopedic supplier of choice for advanced products used in the orthopedic market for many years. Our breadth of experience in this market allows us to work closely with medical device OEMs in a way that fully enables innovative and highly specialized orthopedic solutions. Ligament Repair, such as ACL, etc. These orthopedic procedures demand advanced solutions with the highest precision and reliability. These products are often manufactured from the most specialized metals, such as Nitinol or Titanium. Our customers come to us looking for the knowledge base we have in our “Center of Excellence” for incision applications (IncisionLabTM) and advanced welding (Advanced Welding LabTM) to be compelling and a cornerstone of future partnerships. Off-shore sourcing partner puts new orthopedic product launch in jeopardy, so here comes Cadence to the rescue - A global orthopedic leader in new technologies for spinal surgeries was nearing the launch date for their latest innovative product. A serious obstacle came up with respect to meeting the aggressive launch date required for the introduction at the annual tradeshow event for the orthopedic surgeons. The initial production lot of cutting components, which handled the most critical function of the new device, arrived in the US after the due date (due to customs issues) and out of specification. In short, the parts would not perform the cutting function in the device, leaving the entire project in trouble. Cadence was contacted as an emergency measure to try to get the devices functioning before introduction to the surgeons. By using rapid prototyping capability and working the overtime required to meet the schedule, the cutting problems were fixed ahead of the tradeshow. The show was a success and the future manufacturing responsibility for the product line was given to Cadence.